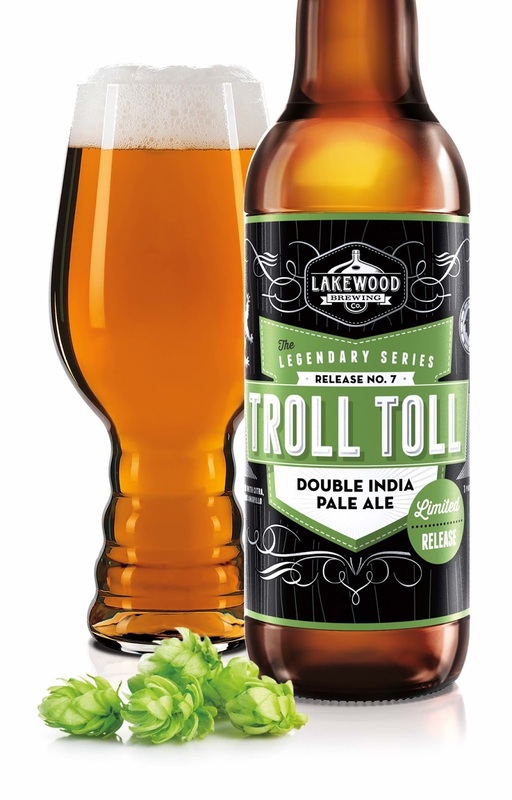 It's been fully one year since the last Legendary beer was put out by Lakewood Brewing Co., but the longest drought in the history of the series will end with the release of the brewery's first double IPA, Troll Toll. 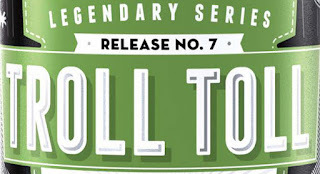 Set to be delivered to retailers beginning on Monday, June 13, Troll Toll is a beer that features seven different hop varieties, including Simcoe, Amarillo, Citra, Chinook, Lemondrop and more. It's a combination that gives Troll Toll "a juicy, fruity, piney taste with a resinous bitter finish that hangs on the palate." see, a greedy troll owned the boy's soul. And for anyone willing to pay his "Troll Toll," the boy's soul would be theirs. himself into the Champion of the Sun. Sadly, his bizarre coming of age took so long, the princess lost interest." 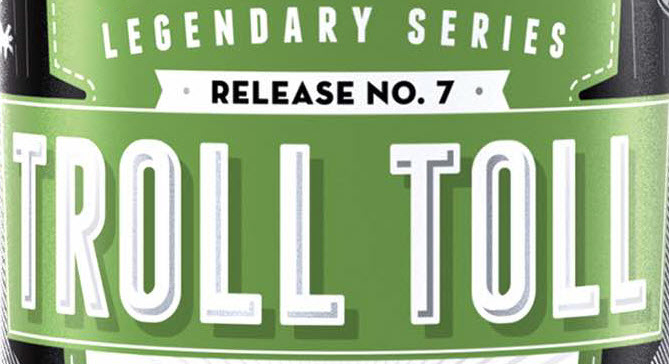 "We're super stoked Troll Toll is finally here," exclaimed Wim Bens, founder and president of the brewery. "We've had a lot of requests for a big IPA and we've been chomping at the bit to make one for all our fans. With 116 IBUs and an ABV of around 9.6%, the beer is a beast with all the big west coast hop flavors and aromas you'd expect from a double IPA. We took extra care to get it out of our tanks and on the shelf and into bars as quickly as possible, so that everyone can have the freshest IPA around." According to a press release, Troll Toll will be offered both on draft and in 22-ounce bottles. And, as is the case with all Legendary brews, it's a one-off release that will only be available for a limited time. My 2016 Fort Worth Untapped tasting card.